Sergio Trujillo Dávila (b. 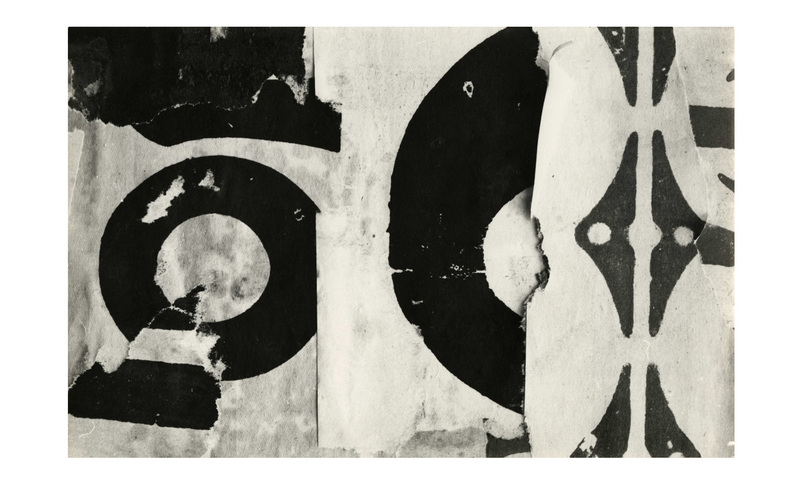 1947) produced a series of black-and-white photographs between 1972 and 1979 of torn and peeling posters, juxtaposed, that reflect the pertinence and the beauty of the sociological issues of the 1970s. Trujillo Dávila’s training as an architect and then as a graphic designer –as well, to be sure, as the influence of abstract artists of the preceding generation (with artists such as Carlos Rojas and Eduardo Ramírez Villamizar, Colombia has given some great names to the genre of geometrical abstraction) – can be perceived in the elegance and precision of his framing. Born in 1947 in Bogotá, Colombia. Lives in Bogotá, Colombia. Sergio Trujillo studied architecture at the Universidad Nacional de Colombia from 1966 to 1968. He later graduated as a graphic designer from the Universidad Jorge Tadeo Lozano. In 1981, he received a Kodak Colombiana scholarship to take a multi-image production course in Mexico City. He has made several short films, including El Gamín (1973), El Dorado blanco (1974), and La Carrera (1979). He has been professor of photography, design, and visual expression at the Universidad Jorge Tadeo Lozano (1973, 1974, 1983). He is the founder and manager of Sergio Trujillo Dávila y Cía. (since 1983), a company that designs audiovisual programs in video and multi-image systems. His work has been selected for the II Maratón Fotográfico de Buenos Aires in 2011 as well as for the Encuentro Internacional de Fotografía, Fotográfica Bogotá in 2013.